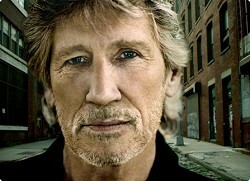 Roger Waters will be performing The Wall in various parts of the world during 2012, and all confirmed dates are shown below. The band is as 2010, and 2011, and includes Snowy White and Dave Kilminster, and an all-male backing vocal. The show includes state of the art staging, with the focus being a 240 foot wide by 35 foot high wall, which is constructed (and demolished) during the concert, and new, crystal clear projections and redesigned inflatables and puppets. For the larger/outdoor stadia used in some countries the staging is FAR larger - check out the reports below from South America to get an idea just how big. These incredible shows form what is expected to be Roger's last tour. Also, we get emailed a lot with requests for backstage passes. We cannot get these for you, so please don't ask! This page is your ideal starting point for information, pictures, reviews and more for each of the shows Roger performs in 2012. Simply click on the show(s) that you want to know more about... as time goes on, each show page will build to hopefully provide a really comprehensive resource!